Current conditions on the mountain amplify the consequences of poor decision making, and conditions are changing by the minute! Please play it safe and tone down your skiing and riding for these last couple of weeks. Friday saw every condition imaginable, and depending on where you were on the mountain you could experience dirt patches, 6” of pow, rotten snow, and hardpack. Especially with trees and bump runs, KNOW BEFORE YOU GO! The conditions may have changed drastically since the last time you were there. If you haven’t been on the mountain in a few days, ask other instructors what’s skiing and riding well. 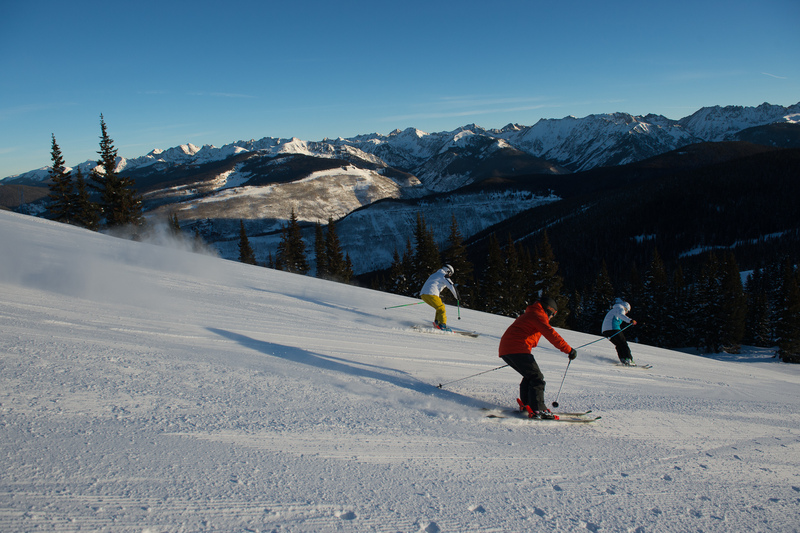 Pre-ride, re-ride, freeride is a great lesson plan for these conditions. Whether you’re considering a tree run, a wide-open groomer, or a park lap, plan to take it extra slow for the first run and examine the terrain before you start adding speed or difficult tasks. Just ask these guys, pre-ride, re-ride, freeride is a good idea! Defensive driving courses don’t just teach you how to be a better driver. A large part is on recognizing poor driving by others and teaching spatial and situational awareness so you can avoid collisions caused by other drivers. A common theme among injuries that have occurred this spring is a lack of focus on the task at hand. As you traverse from point A to B, are you actively thinking about that traverse and what you’re doing with your ankles and legs to steer your equipment, or are you thinking about what you’re going to eat for lunch, your plans for after work, or that text you just received? This is normalization at work. As the season runs on, normalization, desensitization, and exhaustion can lead us to take risks and make choices differently than we did at the beginning of the season when we were fresh and more aware. We lose focus, because we have become accustomed to the task. In order to be spatially aware, we must be focused on the task at hand. Don’t just ski or ride down a run. Break the run up into small sections,and make your focus getting from point A to B in that section. I’m leading a few Training Feedback Milk Run clinics in April. This is an opportunity to grab a gondola ride, make a lap, and share your feedback on the training program with me. All instructors and all equipment welcome! Even if you can’t come to the Training Feedback Milk Runs, you can still fill out the training feedback form for any of the clinics you attended this season. Your responses are a critical factor in our planning for next season. We have just over TWO weeks left in the season, let’s finish strong!